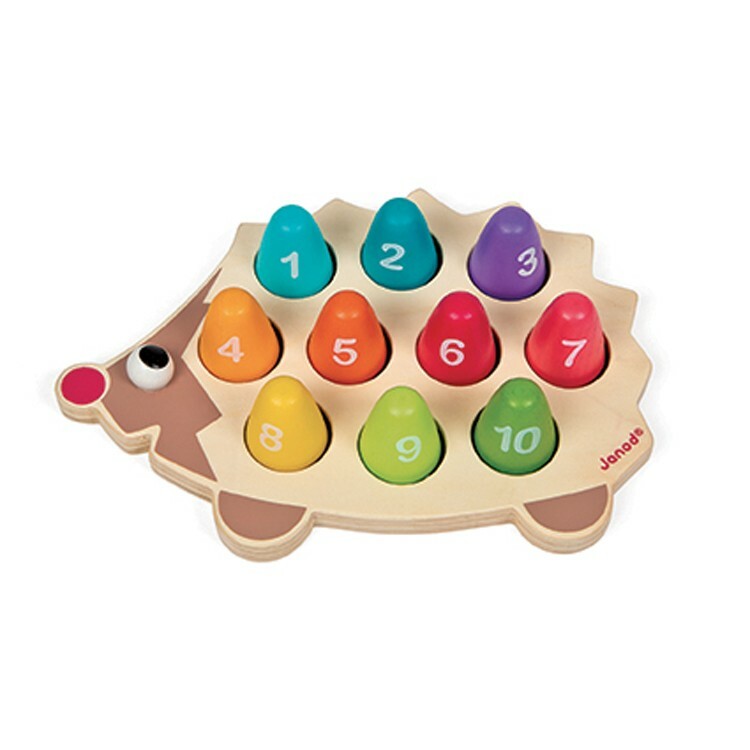 Janod's smiling wooden hedgehog will make sure that you toddler learns colors, numbers 1-10 and counting! 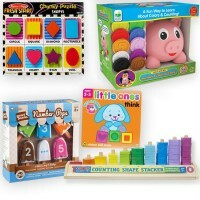 This smiling wooden hedgehog is a color puzzle, memory game, a counting toy, and a small skills tool - all in one box! 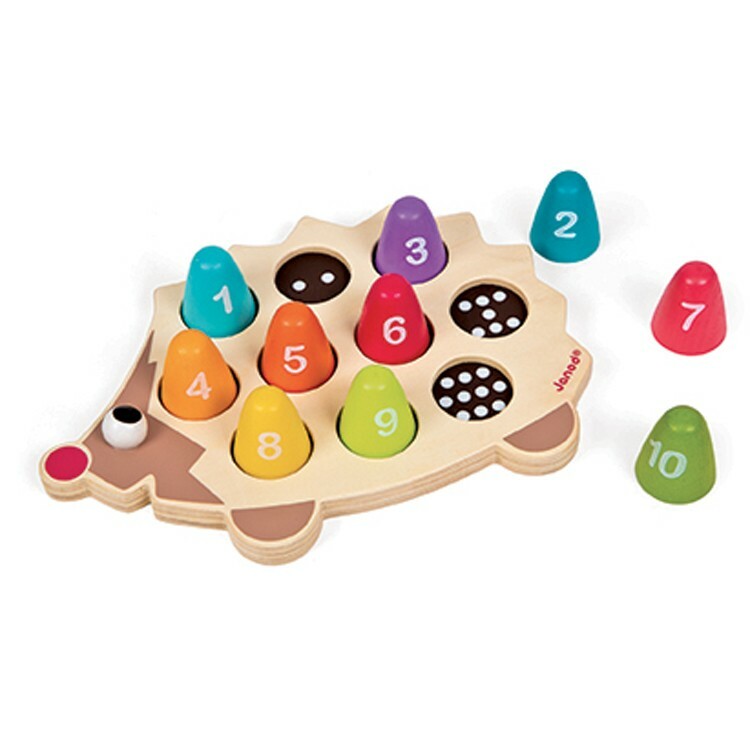 Hedgehog I Wood Counting Activity Toy is creatively designed by Janod, an award-winning French toy maker, for toddlers and preschool kids. 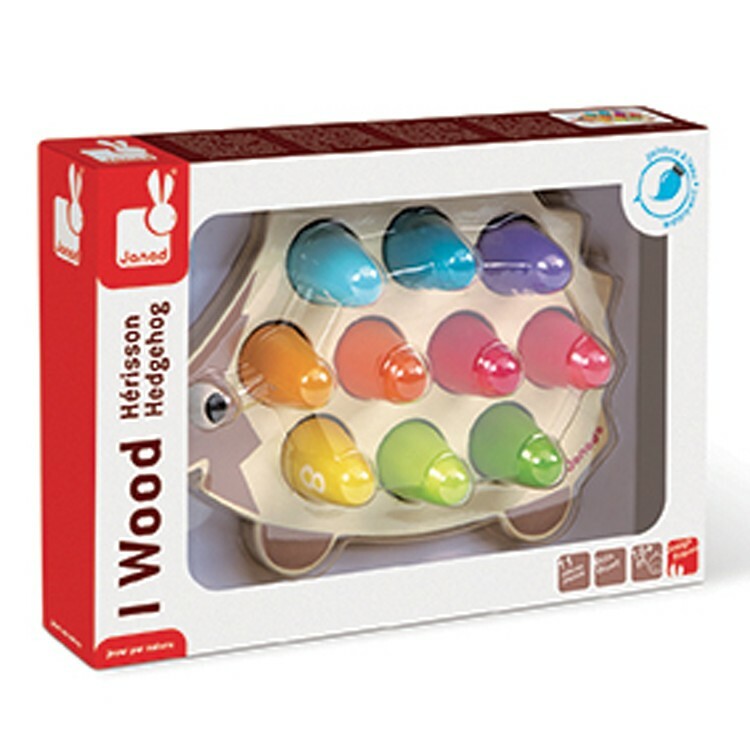 This toddler activity toy features a hedgehog shaped wooden play board with the colorful peg spikes. 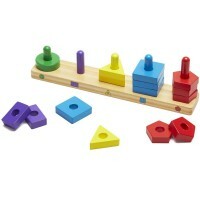 Each wooden peg reveal a black circle with dots. 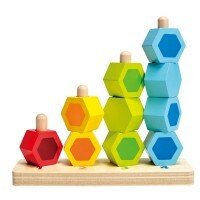 And every spike shows a corresponding number on its side. 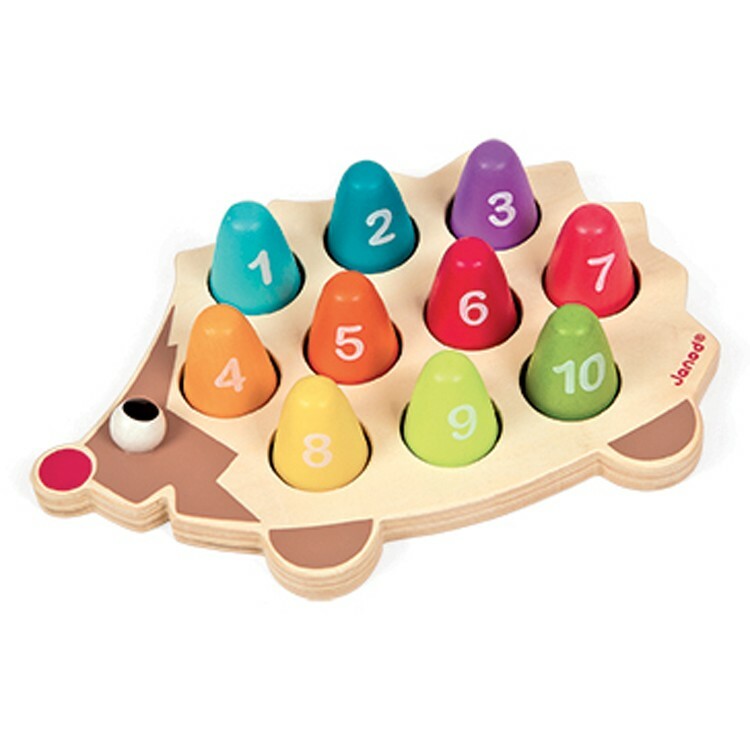 Count the dots and match it with the same number to complete the number puzzle on this hedgehog back. 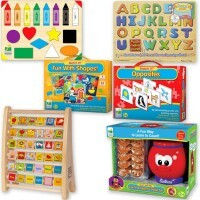 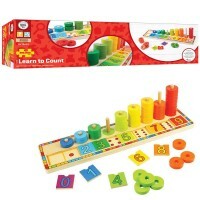 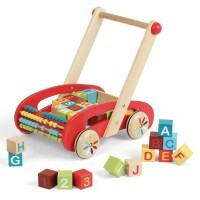 Hedgehog I Wood Counting Activity Toy from Educational Toys Planet is quality made with non-toxic materials and paint. 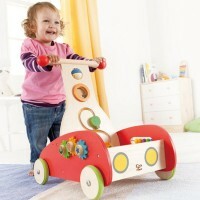 As all Janod's toys, this wooden hedgehog toy complies with all US toy safety regulations. 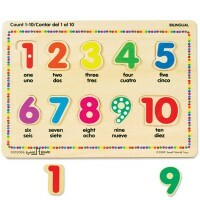 The counting hedgehog toy is a bright colored learning tool to introduce numbers 1-10 and teach the youngest kids early math. 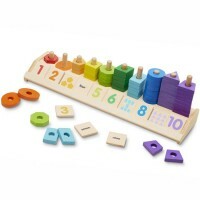 Dimensions of package 6.89" x 9.84" x 1.97"
Write your own review of Hedgehog I Wood Counting Activity Toy.